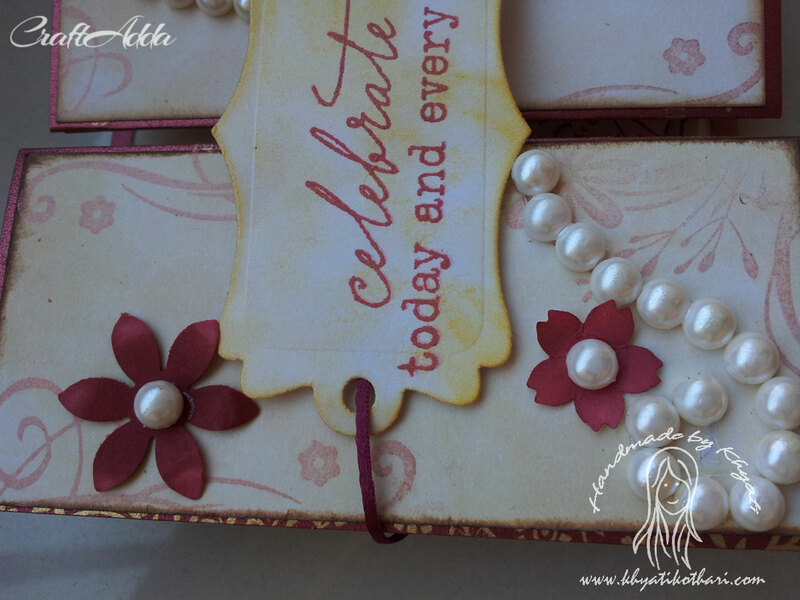 I have used some Micia stamps and stamped them on the card using Brilliance Copper Ink Pad and have used hemispherical pearls to add the elegant look to the card.. 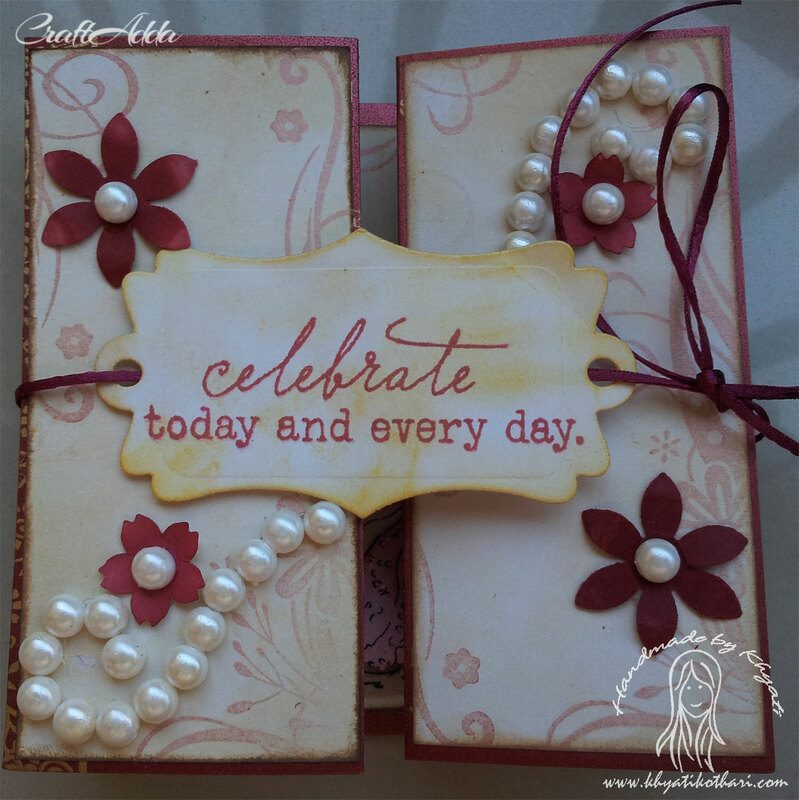 Sentiment is from PaperTrey Ink .. I have distressed the page using Antique Linen Distress Ink.. And the sentiment page using Brilliance Gold Ink Pad.. 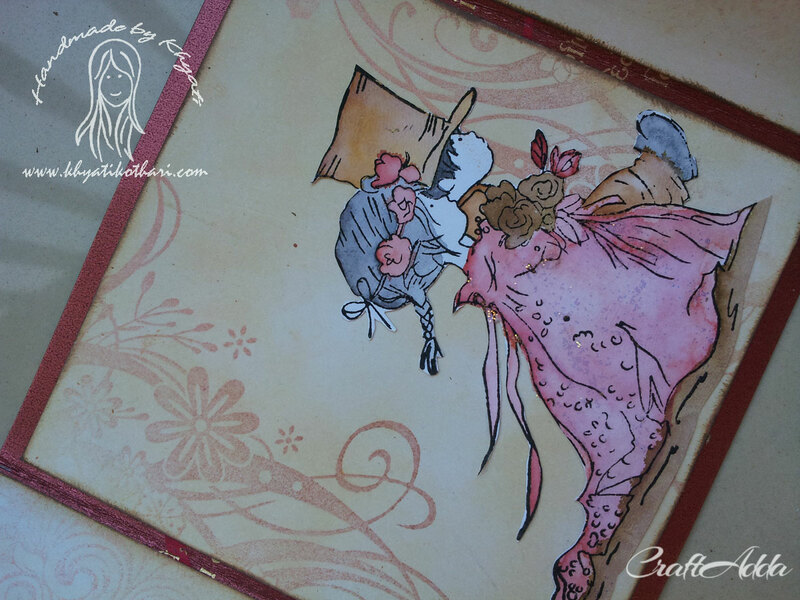 The flowers are punch cut outs and colored using Aged Mahogany Distress Ink Pad.. 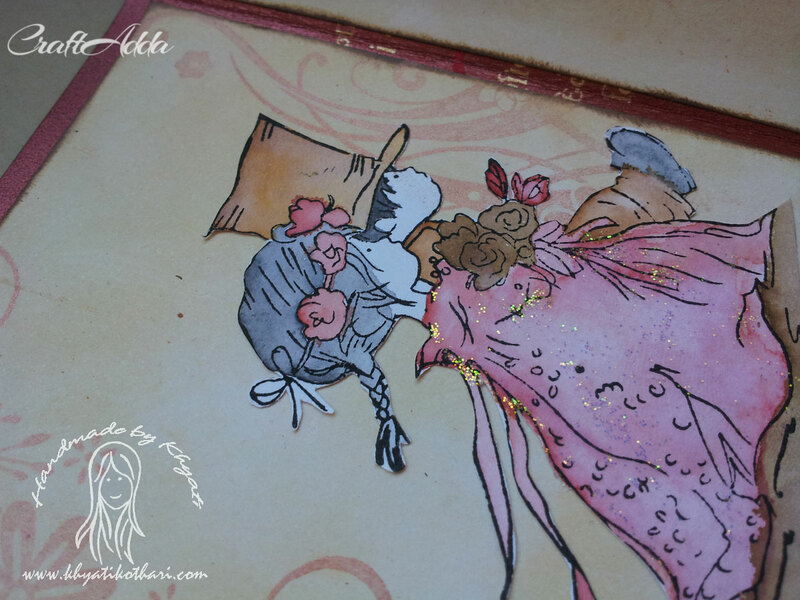 The cute image is from Lily of The Valley and is currently my favorite :D.. Again the inside are inked with Copper ink pad.. I have used Distress markers to color the image.. I have also added some Clear Rock Candy Stickles to add glitter to the gown..